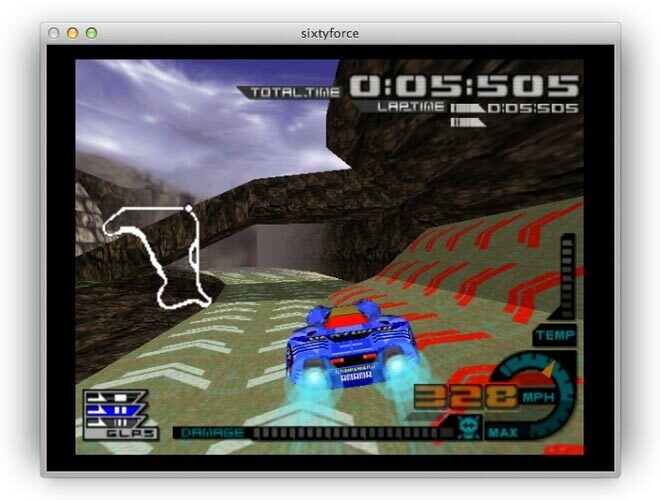 SDLMAME is a Mac OS X port of MAME, which uses the SDL runtime library. New builds are released within a few days of MAME updates. sdltrs is a Radio Shack TRS-80 Model I/III/4/4P emulator for Macintosh OSX, Windows, and Linux. 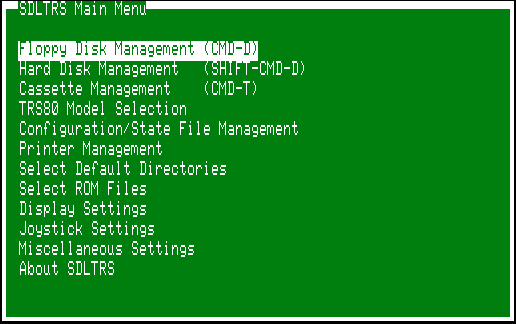 It has been ported from Tim Mann's excellent X-Windows UNIX emulator xtrs. 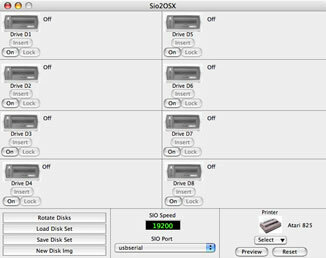 Instead of using the X-Window system for graphics, it uses the portable SDL library. 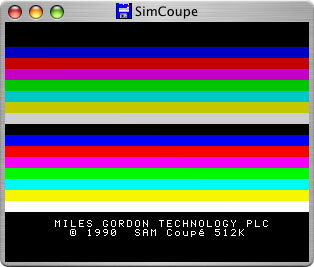 SimCoupe emulates the original SAM Coupe 512K computer. It is also able to function as a Spectrum emulator because the hardware is very similar. Sound support is now included, using the SAA1099 core by Juergen Buchmueller and Manuel Abadia. Please note that this a seperate branch of the SimCoupe code to the current SDL based version. The hardware for the Sega Master System and Game Gear consoles is almost identical from a technical standpoint, a feature that helped develop the software library for both platforms. 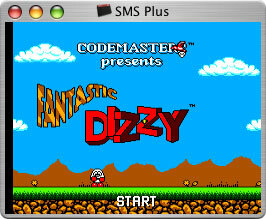 All classic titles can be emulated without problems in SMS Plus, including several which give inferior emulators trouble. 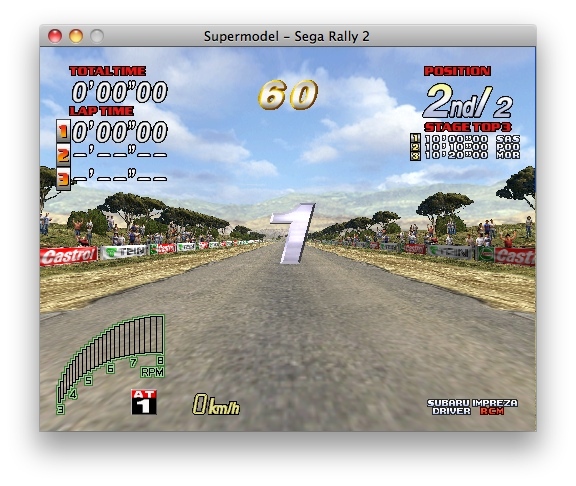 Supermodel emulates Sega's Model 3 arcade platform, which powered Sega's arcade games released between 1996 and 1998 (Virtua Fighter 3, Daytona USA 2, Sega Rally 2, and more). The project is based an earlier (2003) emulator with the same name. The current focus is on accuracy above speed and usability, which is no mean feat given that no public documentation exists for the Model 3 platform. Supermodel boasts an all-star cast of developers, helpers, and associates, including Bart Trzynadlowski, Nik Henson, Ville Linde, and R. Belmont.